ISLAND POND, VT (May 17, 2017) — The Maple Guild, the largest single-source producer of organic maple syrup, has created its first lines of beverages: seven flavors of Enhanced Maple Water and nine flavors of Maple Sweetened Iced Tea. The Vermont-based company is the steward of the largest sugar bush in the world and uses a unique steam-crafted™ process to form the most innovative maple syrup production of its kind. Both lines of The Maple Guild’s unique, new-to-market beverages are now available for purchase online and through eight warehouses via United Natural Foods, Inc. (UNFI), which span from New Hampshire to Florida. The Maple Guild’s Enhanced Maple Waters are more than just sap in a bottle. 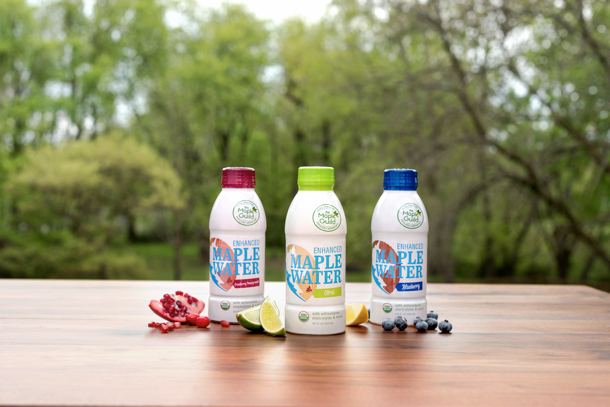 Thanks to Mother Nature, maple sap has trace elements of vitamins and minerals, but The Maple Guild brings the health benefits to a new level by adding antioxidants, electrolytes, b-vitamins and natural fruit flavors for consumers to have choices. The additions lead to a more complete and fully functional beverage than traditional maple waters already on the market. Customers can find the Enhanced Maple Waters in Cranberry-Pomegranate, Blueberry and Citrus, with more flavors to follow shortly. At only 45 calories per serving, The Maple Guild’s Maple Sweetened Iced Teas are a new twist on a classic drink, with the maple providing a natural sugar that creates a low-glycemic beverage. The iced teas are organic, Fair Trade, real brewed tea that is sweetened only with the Maple Guild’s Organic, Steam-Crafted™, Grade A Golden Vermont maple syrup, to create a subtle sweetness and clean taste. The Maple Sweetened Iced Teas are available in nine flavors, including Black Tea, Green Tea and Green Tea with Ginger. 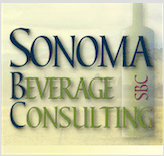 With the addition of the beverages, The Maple Guild now produces and distributes a variety of maple-based products using a single-sourced maple syrup to include: an award-winning maple cream, an award-winning maple vinegar naturally fermented and then aged in Napa Valley wine barrels, and a lineup of organic syrups including Grade A Golden and infused syrups counting: Bourbon Barrel-Aged, Vanilla Bean, Cinnamon and Salted Caramel. The Maple Guild is the largest single-source producer of organic Vermont-made maple syrup in the world. Our vision: to produce the purest, highest-quality maple syrup and maple-based products available on the market by meticulously managing every component of the process from tree to table. By controlling 16,000 acres of sugar bush in the United States, owning and operating a state-of-the-art production infrastructure, and employing an exclusive steam-crafted™ syrup processing system, The Maple Guild is the world’s most innovative and efficient producer of premium maple products. For more information, visit www.mapleguild.com or follow The Maple Guild on Twitter @RealMapleGuild.